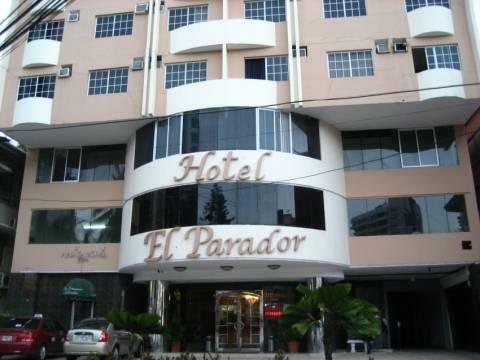 ﻿ Best Price on Hotel Parador in Panama City + Reviews! This comfortable hotel is located in Panama City’s Financial and Business district, one block from Vía España shopping street. It offers an outdoor pool, free WiFi in public areas and air-conditioned rooms, some with balconies and city views. The bright and spacious rooms at Hotel Parador feature a plasma TV, telephone and private bathroom. Suites also have a lounge area with sofa and a mini-bar. A continental breakfast is served daily and the Parador’s restaurant serves a varied menu of international and regional dishes. There is a hotel bar and packed lunches can be prepared. The hotel is located around 15 minutes’ drive from Panamá Viejo, the city’s old town. Car rental is available and Tocumen Airport can be reached by car in 25 minutes. I have stayed at this hotel numerous times and the rooms vary a lot so sometimes the stay is okay. But overall the hotel needs major maintenace--light bulbs are burned out, lamp switches don't work, shower doors don't slide, window air conditions are noisy, sheets have holes, and towels are ragged. Staff are consistently surly. I have stayed there numerous times and had rooms off the street and with a small balcony. Good value for the money. But this time I had a room facing the main road without a balcony. The sheets were full of holes, the bathroom needed repair, the lightbulbs were burned out, and the room smelled of stale cigarette smoke. Ugh!. The restaurant staff evidently did not show up so there was no breakfast even though it was supposed to be included. The hotel is centrally located and near several good restaurants. The roofside pool is pleasant and clean. Staff are not partcularly friendly or helpful. Location, price, accessibility to local restaurants and bars. Hotel was a great value for the money. Clean, with friendly and helpful staff. Rooms had some upgrades like flat screen TV, wireless internet, etc. The furniture was a bit dated, but not in bad shape. The linens were not luxurious or plentiful, but clean and sufficient to the task. The hotel is pleasant and clean but although breakfast was supposed to be included, the reataurant in the hotel was not open and there was only coffee. The hotel is very well located in a safe and fairly quiet area. Good restaurants and pubs nearby. Always taxis available. Staff are not overly friendly, some even unfriendly. Food at restaurant OK. Breakfast included and has a few choices. Maintenance of rooms poor and starting to be pretty rundown. But clean. Good WiFi connection. The hotel is very reasonably priced for Panama City. There is a small pool on the roof with a good view over Panama City. nuestra estancia fue de angustia por falta de personal, y que el personal que habia era grosero y mal educado. su personal no habla ingles, lo que lo hace incopetente ya que los extranjeros les cuesta comunicarse. zentral gelegen, restaurants um die ecke, dachpool mit sagenhaften blick !!! Mitarbeiter der Reception waren extrem unfreundlich.Auf Fragen in Ihrer Sprache (Spanisch)wurde man systematisch ignoriert und auf überhebliche Art belächelt.als wir für eine Woche nach Bocas del Toro reisten und wir einen Teil des Gepäckes im Hotel abgeben wollten,war dies nicht möglich.Wir reisen nun seit ca. 15 Jahren in allen teilen der Welt.So etwas ist uns noch nie passiert.Die Zimmermädchen und Liftboys waren aber freudlich. We hebben een leuke tijd gehad in het hotel. Het is gunstig gelegen, je loopt zo naar diverse winkels en restaurants. Het personeel was niet altijd even vriendelijk.